Chief: All these people want to know...! 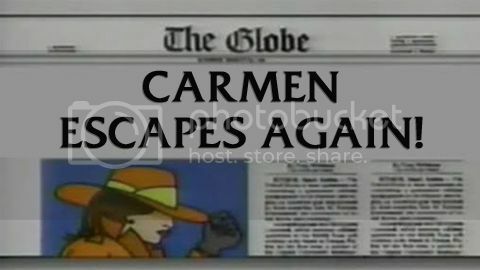 Rockapella: Where in the World is... Carmen Sandiego? Chief: And one of these Gumshoes could find her! Scott: From Mayfield, New York, she collects cat figurines and has lots of cats of her own. Say hello to Kathy Bennett! Barry: From Newark, New Jersey, she's into lacrosse and softball and has a cousin in Guam. Say hi to Irene Jenkins! Elliott: From Manhattan, she wants to be a defense attorney like her mother. Meet Elaine Dubois! Chief: And here's our captain in charge of training new recruits, Greg Lee! Greg: Hey, thanks a bunch! Welcome! [greets the Gumshoes] Gumshoes, welcome to you all. Hey, say hi to my pals. Greg: Now, before we get started, we have a very important announcement for you, and it involves some of our animated singers. Let's bring out Poképella, ladies and gentlemen. Greg: You all remember Ash, Serena, Clemont, and Bonnie. Greg: And Pikachu. Now, Ash and Pikachu have been with us since season 2, and the other three have been with us since season 6, and they've done a wonderful job, and the viewers, from their mail, their posts on Facebook, Twitter, Instagram, and whatnot, have indicated that they love them. And the big announcement-- Serena, Clemont and Bonnie have decided to leave the show after today's taping. Ash: [hands Serena a Kleenex] A lot of us feel about it as much as you do. It's gonna be sad to see you guys go. Greg: But after you leave us, what are your plans? Serena: Well, I'm ready to pursue a career as a Pokémon performer, but I'm really gonna miss everyone here. Greg: Clemont, how 'bout you? Clemont: Well, I've got a gym to run back at Lumiose City. Bonnie: And I'm gonna help him. Plus, he's not gonna get the right girl without me. Clemont: Bonnie, I told you not to do that again. Greg: Thank you. Anyway, we respect your decisions, and they're great opportunities, but we have to have you guys go. Serena: Me, too. But I wanna thank everyone on the staff for having us, and the fans, too. Bonnie: We love you all. Ash: And don't worry. I'll see to it that the new members, whoever they are, do just as good a job as you and the last guys did. Greg: And thank you all. Greg: Now, they'll be with us for the remainder of today's show, of course, because we wanna see them off properly. All right, Gumshoes. You all know how this goes. 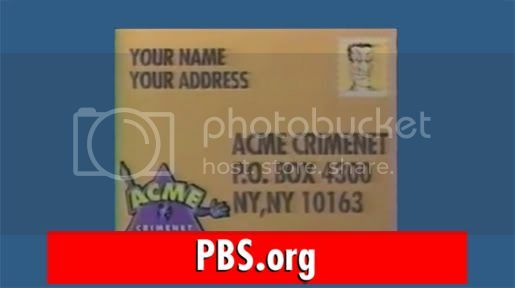 We're gonna start each of you off with 250 ACME Crime Bucks. Each time you answer a question correctly, we'll give you 50 more Crime Bucks. If all three of you answer the same question correctly, we'll give you each an additional 50 Crime Bucks. And the two of you with the highest scores at the end of this round will advance to the next round to determine who gets the $5,000 savings bond bounty and the right to go after Carmen Sandiego for a trip to anywhere in North America and a jackpot of $80,000! Greg: All right, Chief. Who dunnit? 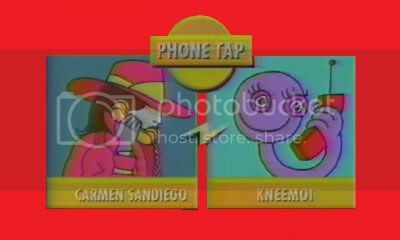 Chief: Gumshoes, this is Kneemoi. 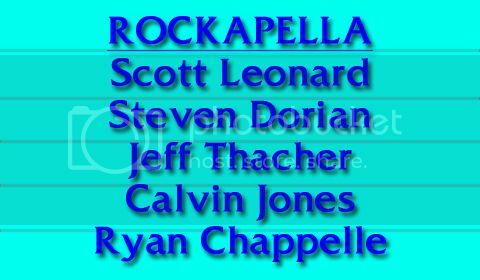 Rockapella: Moi! Moi! Knee-Knee-Knee-Knee-Knee-Kneemoi! Knee-Knee-Knee-Knee-Knee... Moi! Her last-known whereabouts: Bohemia, Czech Republic. Chief: This, my friends, is polka, originally a Czech dance and genre of dance music familiar throughout Europe and the Americas. Polka remains a popular folk music genre in many European countries, and is performed by folk artists in the Czech Republic, Germany, Austria, Poland, Croatia, Slovenia, Switzerland, and to a lesser extent in Latvia, Lithuania, the Netherlands, Hungary, Italy, Ukraine, Romania, Belarus, Russia, and Slovakia. That is, until today! Chief: Kneemoi charged into the Czech Republic, and pilfered the Polka with her alien powers. She plans to power her fellow VILE crooks with the stolen dance for their annual holiday ball. Gumshoes, Urkel fans everywhere will never dance to his moves again unless you crack today's caper...! Chief: The Perilous Polka Pinch! 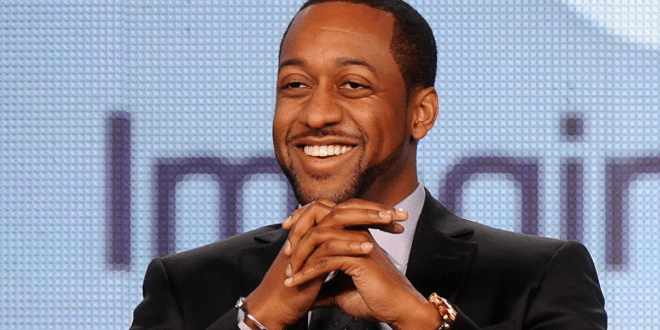 Jaleel: Did your Chief say somethin' about Urkel fans, Greg? 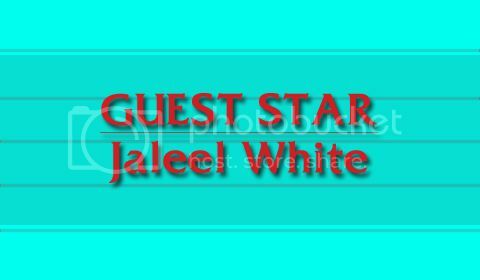 Greg: Jaleel White! Steve Urkel himself is with us via Skype! 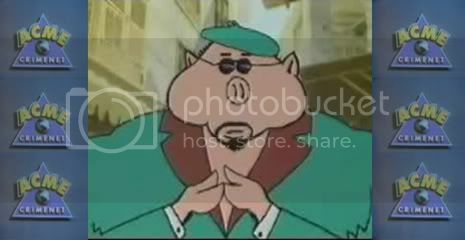 Greg: Gumshoes, name the city. Is it Chicago, Cincinnati, or Indianapolis? Remember the clues we just heard: Lake Michigan shoreline, Millennium Park, Grant Park, and Family Matters. Lock in your answers, please. 50 Crime Bucks if you're right, 100 if all three of you nail it. Greg: Kathy, what'd you say? Greg: Chicago. The answer we're looking for is Chicago! Greg: That'll be our singers in the alley. Be back in a minute. Greg: Hey, guys. What's the Word on the Street? Ash: Greg, the Word on the Street is "Tango". Serena? 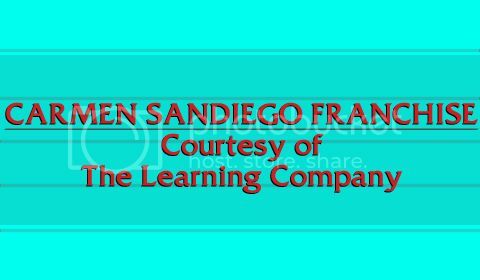 Jeff: The tango is a partner dance that originated in the 1880s along the natural border between Argentina and Uruguay. It's an estuary formed by the confluence of the Uruguay and the Paraná rivers. It empties into the Atlantic Ocean, forming a funnel-shaped indentation on the southeastern coastline of South America. Greg: That's impressive. Thanks. [returns to HQ] If Serena and the others are going out today, this is a great way to spend their last show. Okay, Gumshoes. Name the body of water. Is it Palena River, Rio de la Plata, or La Leona River? Remember the clues we just heard: Tango, natural border between Argentina and Uruguay, and empties into the Atlantic Ocean. Greg: Kathy, your response, please? Kathy: I chose Rio de la Plata. Greg: Rio de la Plata. Irene? Irene: Rio de la Plata. Greg: Rio de la Plata. Finally, Elaine? Elaine: Rio de la Plata. Greg: The answer we're looking for is the Rio de la Plata! Greg: All of you got it once again, so each of you gains another 100 Crime Bucks. You're each up to 450. For our next clue, take it from here, Sydney Greenpig. Sydney: [chortles] Greetings again, my friends. Kneemoi hid out in a borough of New York City, home of the New York Yankees. Oh, but there's more. The name of this city originated with Jonas Bronck, who established the first settlement in the area as part of the New Netherland colony in 1639. Well, ta-ta, chaps. I'm off to my family reunion. Peace! Greg: Okay, Gumshoes. You heard him. Name the borough. Is it the Bronx, Staten Island, or Manhattan? Kathy: I chose the Bronx. Greg: The Bronx. The answer we're looking for-- The Bronx! Greg: Incredible, you guys! Another 100 for each of you. 550 apiece and still a three-way tie. Greg: Okay, guys. It's time for the Lightning Round. All these questions relate to the Bronx. Each correct answer is worth 25 Crime Bucks. Listen carefully. Here we go. What Major League Baseball team from the Bronx is nicknamed the Bronx Bombers? Greg: That's correct. You go to 575. Question 2: One of the original members of our own Rockapella grew up in the Bronx. Name the Rockapella alumni. Sean Altman, Elliott Kerman, or Steve Keyes? Greg: Another 25 for you. 600 total. Hopefully we'll see Sean in one of next week's shows. By the way, Steve Keyes was among the choices, and he hasn't been seen since season 2. Wonder what he's up to now and why he hasn't called lately? Oh, well. Question 3: Take a look at this. 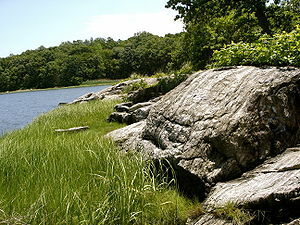 Greg: This is the northern tip of Hunter Island in what public park located in the northeast corner of the Bronx? Greg: That's it. You go up to 575. Last question: A Bronx Tale was a 1993 crime drama film. It was the first commercial theatrical film release ever directed by which of the following actors? Martin Scorcese, Chazz Palminteri, or Robert De Niro? Greg: That's another 25 for you. At the end of the Lightning Round, Kathy and Irene each have 600, and Elaine still has 550. Good job, ladies. Chief: Greg, report to my office at once! Greg: Roger, Chief. Excuse me, Gumshoes. When the Chief says "at once", she means "at once". My mentor calls once more. [enters the Chief's office] Yes, Chief? Chief: [places Post-It notes on Greg's jacket] Greg, you've been to Chicago. You have been to the Rio de la Plata. You have been to the Bronx. And there's still no sign of Kneemoi or the Polka. I thought the reward would motivate them to stay on the trail so Kneemoi can lead us to Carmen. Greg: Chief, remember, they're just beginners. Greg: Each day, we'll pick five people whose lists are correct and send them each a Carmen t-shirt. Here's who won today. 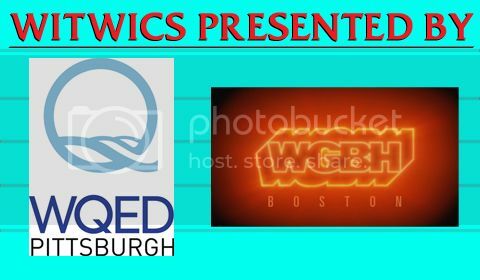 Greg and the Chief: Congratulations to the winners! Chief: All right, Greg. Go away. Greg: [comes out of the office and removes the Post-It notes] Phone Tap.
. I read it comprises a vast plain of sand stretching from the northeastern part of the country I'm hiding in into western Chad, occupying an area of over 150,000 square miles. Carmen: If ACME finds you, make your get away at Niamey Airport. It's located at the country's capital and largest city. Greg: Okay, Gumshoes. Name the country. Is it Niger, Benin, or Libya? Remember the clues that we heard: Ténéré, capital: Niamey, and Niamey Airport. I can also tell you that this country is landlocked. Greg: Niger. The answer we're looking for is Niger! Greg: After that question, Kathy has 600, Irene has 650, and Elaine has 600. Now, we've just heard that Kneemoi has left Chad, so let's pick up the Chase! All singers: Oooooooooooooooooooh,... THE CHASE!!! Greg: First time in a long time. Poképella's Pokémon, ladies and gentlemen. Greg: Gumshoes, all these are worth 25 Crime Bucks. Hands on your signaling buttons, and here we go. Kneemoi burst into Bamako. Greg: Yes. She then pulled the Polka into Ouagadougou. Greg: Right. Next, she arrived in Abidjan. Greg: Right. She floated due east to the capital of Ghana. Greg: That's right. At the end of the Chase, Kathy leads with 725, Irene has 650, and Elaine has 600. Now, as many of you might already know, it's time for the last clue of this round. Greg: Take a look at this part of the world, and think about it. Greg: Decisions have been made. Okay, Nana Rap. Take it away! Nana Rap: Listen and get down as I rap so merry. There's a planetarium named after Gene Roddenberry. He was born in the city on the Rio Grande. He was Star Trek's creator. What a clever man. It hosts the Sun Bowl, known for college football. Hiding in here will be Kneemoi's downfall. Roddenberry's not related to her home planet. That's all I've got for you. Now it's time to can it! Greg: Nana Rap, ladies and gentlemen! Greg: Thank you, Nana. Okay, Gumshoes. Our final clue-- Name the city. Is it Dallas, Fort Worth, or El Paso? Remember the clues that we heard: Home of Gene Roddenberry, Gene Roddenberry Planetarium, hosts the Sun Bowl, and on the Rio Grande. Greg: All right. We're gonna start with you, Elaine, since you have the lowest score. You have 600. How much did you risk? Greg: The big one. If you're right, you go to 850. If not, you drop to 350, and you'll be mathematically eliminated. What'd you say? Greg: Had a good feeling about that one, eh? Good job. Next, we go to Irene with 650. How much did you risk? Irene: I also risked 250. Greg: Another must-win situation here. Irene, if you're wrong, you'll drop to 400 and be mathematically eliminated, but if you're right, you go to 900 and will surely go on to the next round What'd you say? Irene: I chose El Paso, too. Greg: Lastly, we turn to Kathy. You have 725. How much did you risk? Greg: Another big one. If you're right, you'll go to 975 and will advance to the next round with Irene. If not, you'll dtop to 475, and Irene and Elaine will advance. What'd you say? Kathy: I also chose El Paso. Greg: That's it! You and Irene are advancing! Greg: Elaine, you played a great game today. At least you've got a lot of savings bonds to show for it. Not only do you keep your Crime Bucks in savings bonds, but you'll also take home an additional $1,000 savings bond for coming in third place. And you're also taking home a special kit that will assist you in your next case. Chief? Chief: It's our official ACME Crime Net Travel Kit. It all comes in this wonderful ACME duffel bag. Inside, you'll find an atlas, the official Carmen watch, a Carmen t-shirt, a subscription to National Geographic World magazine, this ACME Crime Net cap with the logo in front, our ACME Stealth Pen Recorder for writing and recording messages, and finally, this handy basketball globe. [tosses the ball into a basket behind her] I salute you! Back to you, Greg! Greg: [hat on] Thank you, Chief. Okay, Kathy and Irene. Kneemoi has taken the Polka to El Paso, Texas, so what we're gonna do is modem ourselves. Chief: Greg, it's almost time to modem. You and the Gumshoes ready? Greg: And willing, Chief! Here we go! Greg: [exhales] Okay, guys. Here we are in El Paso. Now, let's turn it over to the Chief for a quick briefing. Chief? Chief: Gumshoes, there are 15 places here in El Paso where you may find Kneemoi, the Warrant, or the Polka. Let's look at a few of them. Chief: El Paso, the Spanish term for "the pass", stands on the Rio Grande across the border from Ciudad Juárez, in Chihuahua, Mexico. The two cities, along with Las Cruces in the neighboring state of New Mexico, form a combined international metropolitan area, sometimes referred as the Paso del Norte or El Paso–Juárez–Las Cruces. Chief: North Franklin Mountain is a mountain in the Franklin Mountains of El Paso, located in the Southwestern United States. North Franklin, standing at 7,192 feet, is the highest point in El Paso, and the 27th-highest mountain in the state of Texas. Chief: The Plaza Theatre is a historic building in El Paso. The theater stands as one of the city's most well-known landmarks, and remains operational today, showing various Broadway productions, musical concerts, and individual performers. Greg: Thanks, Chief. Okay, Gumshoes. Remember, the order is Loot, Warrant, and Crook. Finding any of them at any time gets you a free look. First place gets a $5,000 savings bond and the chance to go after Carmen, second gets $2,000. Kathy, you were leading at the end of the last round, so you go first. Greg: Nothing there. Over to you, Irene. Greg: Nothing there, either. Kathy? Greg: Nothing there, either. Weird. Maybe we don't have them on this board today. Irene? Greg: Finally, we found one. But remember, we need to find the Loot before the Warrant and the Crook after. But go ahead, Kathy. Greg: Good job. You got the Polka. But we still need to find the Loot first, the Warrant second, and the Crook last. Go ahead, Kathy. Greg: Nothing there. We know where the Loot and Warrant are, but we still gotta find Kneemoi. Irene? Poképella: Roll out the barrel! Greg: [laughs] Irene, go ahead. Greg: Okay. Two down, one to go. Can you find Kneemoi? Greg: Where is that Kneemoi? Kathy: Bridge of the Americas. Greg: Bridge of the Americas. 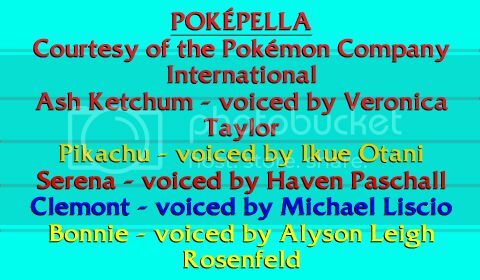 Rockapella and Poképella: Kneemoi! YOU'VE WON!! Greg: Kathy, you've done it! Go ahead and pull the chain to put Kneemoi in jail! Greg: Congratulations, Kathy. 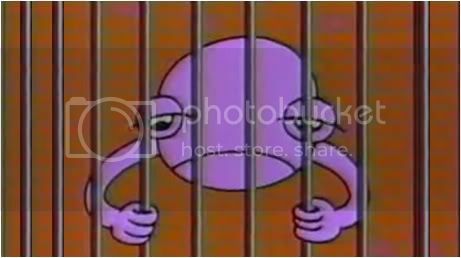 The $5,000 savings bond is yours, and the Polka is right back where it belongs, as is Kneemoi, behind bars. Stick around and we'll get back to you. But first off, Irene, you played a great game. You tracked Kneemoi all the way to El Paso. You've got yourself a $2,000 savings bond, as well as this gift. Chief? Chief: We have a new iPad Mini, which you can use to take photos of your travels, personal notes, listen to music, watch videos, and surf the web, among other things. And we're throwing in a $500 iTunes gift card, as well as the ACME Travel Kit. I salute you! Greg: Thank you, Chief. [hands Kathy a portfolio] Okay, Kathy. Here's your portfolio. Write down where you wanna go if you catch Carmen Sandiego and get the trip and the $80,000 jackpot. Go ahead. Greg: Okay. Listen, you've had a great day today. You caught Kneemoi and won $5,975 in savings bonds. But we're not through yet. We still gotta find out where Carmen is. Greg: I bet that's for you. Greg: Asia. Then that's where we're going. Chief? Greg: Okay, Kathy. Got a marker in your hand. Let's get 45 seconds on the clock. Greg: Good luck to you. Get seven, and you're $80,000 richer, and that trip is yours. Audience, cheer her on. Here we go. On your mark, get set, GO! Greg: Carmen went to Ulan Bator, Mongolia! Mongolia! Greg: Good shot! Qatar! Qatar! Qatar! Greg: That's right! Cambodia! Cambodia! Pour it on, Kathy! Greg: Three! Armenia! Armenia! Armenia! Greg: BAM! Amman, Jordan! Jordan! Jordan! You can do this, Kathy! Greg: No! Let's move on! Thailand! Bangkok, Thailand! Hurry! Greg: Time! Did she get that last one? Yes, the judges say she did, so she got six in 45 seconds. Give her a hand, you guys! Greg: Hey, you were close, Kathy. This is a very tough Map, not to mention it's bigger than any other Map we've ever used on the show. But you're not a loser here. No one is. You caught Kneemoi and got back the Polka. We're proud of you for that. Chief, how 'bout you? Chief: I sure am. Kathy, we at headquarters are all grateful for all the hard work you've done today. I hereby upgrade your status to Sleuth! Congratulations! Greg: Since you didn't get Carmen, we're gonna give you $1,000 for each country you correctly identified, so that's another $6,000 for you. All together, you're leaving us with $11,975 in cash and savings bonds. Greg: But that's not all. All Sleuths not only get the ACME Travel Kit, but they also get... [hands Kathy a Sleuth Jacket] The Official Carmen Sandiego Sleuth Jacket! Greg: And look inside the right pocket. Greg: You also get this digital camera. Greg: Now, because you didn't catch Carmen Sandiego today, our jackpot jumps up by another $30,000, taking it up to $110,000. Hopefully next Saturday's show, we'll finally catch Carmen. But right now, before you go, Kathy, there's one more thing I need you to do. You know what it is?! Scott: Ladies and gentlemen, on the occasion of Serena, Clemont, and Bonnie's departure, here's Poképella! Serena: We didn't make forever. We've each gotta go our separate way. Bonnie: We've been together a long time. We were always so close to each other. All: And it's hard to say goodbye, my love. Just remember all the times we had. Ash: And it's not that I don't love you deeply. All: But it's hard to say goodbye, my love. Serena: You know I'll always love you. You know I'll always care. in my heart, we'll always be there. All: It's so hard to say goodbye, my love. Serena and Bonnie: It's so hard. Ash and Clemont: Goodbye, my love. Serena and Bonnie: Baby, it's so hard. Ash and Clemont: We didn't make forever. Ash: I can feel there's something more. Ash: But we've gotta grow. though it's hard, so hard, we have to say goodbye. Scott: Let's take it home, folks! 1, 2, 3! from Berlin down to Belize. they'll be singin' the blues. the Mekong from the jungle. Serena and Bonnie: Carmen Sandiego? and run a scam in Scandinavia. when she stole the beans from Lima. Ryan and Clemont: Carmen Sandiego? All: Where in the World is Carmen Sandiego? and they rarely wash their socks.